To all our friend out there that are continuing to meditate and send positive energy where it’s needed to offset the negative (Dark energy) we thank you and hope you will continue along with us and maybe ask some of your friends to join in. The meditation has done some good and we see some changes, but we have a ways to go. On August 15, 2008 the thousand priest abusing children new came out and the Vatican (Pope Francis) has said NOTHING since. We urge the Vatican to come out with some sort of news as to what they plan to do now and in the future. 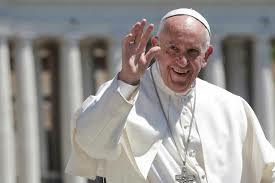 We love Pope Francis and are sad that he has inherited a corrupt religion, but he can change that with his power as Pope. Give back some of the $’s back to the churches all around the world, get rid of some of the “chargeable” fees that over-ride Vatican laws, and just plain open the religion to all who wish to be Catholic without and rules. What a concept? No rules! Just like why the religion was created, we are all one and God loves you unconditionally. 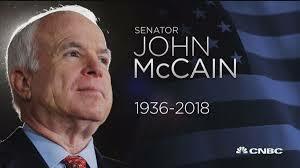 We morn the loss of Senator John McCain and welcome him to the other side (Heaven section) and hope he plans to reincarnate soon to help us to change our world. His energy is still lingering and spreading throughout the world. There are many “john McCain’s” out in the world like every veteran of any war who fought for the good of other people. These veterans will be honored at the highest degree is our new world and any assistance we get from them is appreciated. Not only have we been meditating on sending the positive energy to Mother Earth and to the entire world population, we have been praying to The Universe (God) and asking to delay the end of the world as we know it. We ask God if we can enhance the small opening that was created in 1985 and dump most of our positive energy at that point to raise the vibration higher, and let Jesus and all the founding fathers to come with him there. Even though we have several meditation participants we may not be able to raise a global vibration to allow Jesus to return, we can raise a fairly huge vibration at a that point and then after Jesus and the founders come back, they can start clearing out the huge negative energy spread all over the globe. Then Jesus can become Pope and the other founders can become the leaders of their religions and slowly close down each. Then those who choose (Free will) not to join the positive New World Religion can be moved or removed according to the New Religion requirements. We must admit there is a huge amount of work to do and all you folks have to do is look around you and see the negative energy that other folks are spewing on a daily basis. Abusing Mother Earth, abusing other humans, and the 528 children still not returned to their parents is looked at as genocide of innocent children which is inexcusable. Just tonight the POTUS had a dinner for the antichrist group of the so called “evangelical right” which are copping out when Trump is discussed with “God will judge him” when in fact this is their excuse to support a low life in-humane person for “The almighty dollar”. Many of these guys and gals can be seen on a variety of TV channels begging for money and promising that Jesus will come to you and heal you when we know that if you just ask, Jesus will heal you in an instant. These “so call religious leaders” will be the first to all be judges by Jesus and hopefully, first to be eliminated for this awesome planet. So folks we pray that we will not be cooked like “a cheap French Fry” and continue on as planned. Things are moving fast and we will continue to do all we can and with your assistance. God Bless all of you and just know that God is always with you. Open your hearts and receive God into your being and your soul will rejoice. It’s a great feeling folks, just as the folks around you that have already accepted God into their Soul. We have nothing else except to tell you a joke from Kevin Nealon – “Did you hear about the guy who stole a fire truck this morning?” “He was arrested by another guy a few hours later who stole a police car.” (Gave us a chuckle). Thanks to all for your subscriptions, Twitter followers and to all we say Namaste.